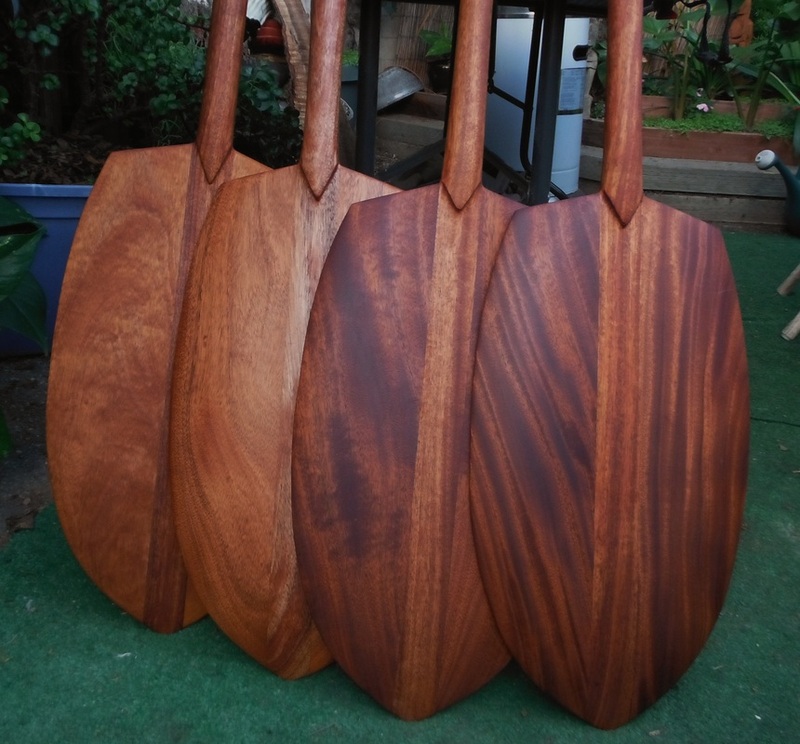 Authentic Hawaiian Koa paddles made by master woodcarver, Tevita Kunato. 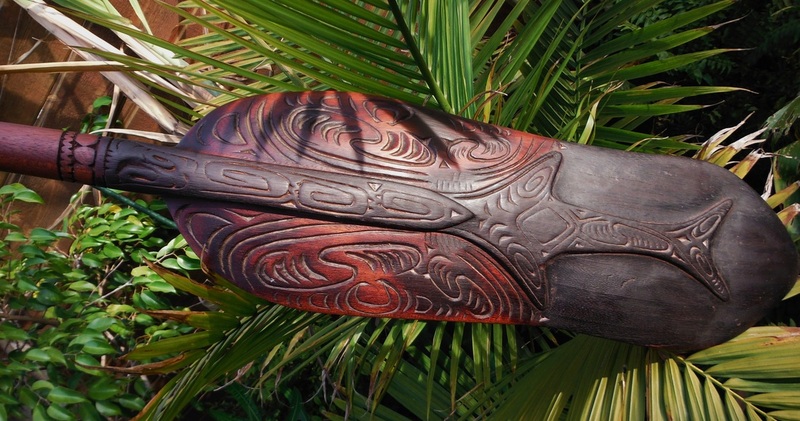 - Hawaii Woodcarving by Tevita Kunato. 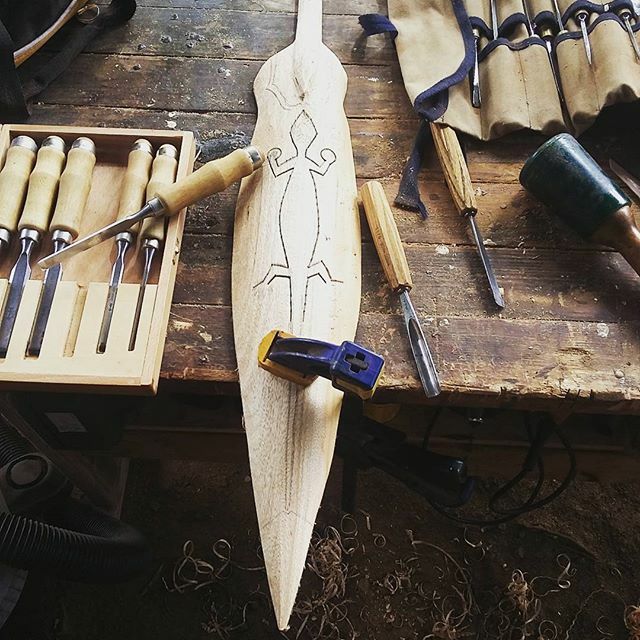 Order your canoe paddle here. Made in Hilo, Hawaii with the most beautiful wood this island has to offer, Koa. 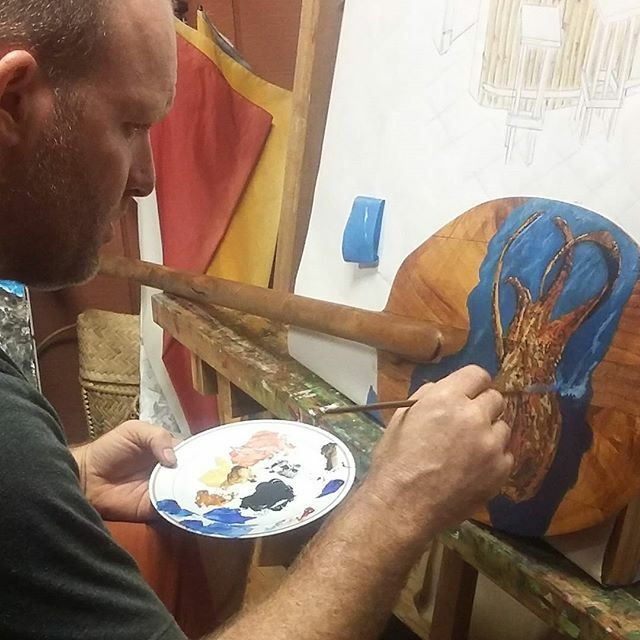 Very close attention is given to each beautiful koa paddle I make. I build them to last a lifetime. Prices start at $225. ​Paddles are built on request. Please scroll down to the bottom of this page for contact information. 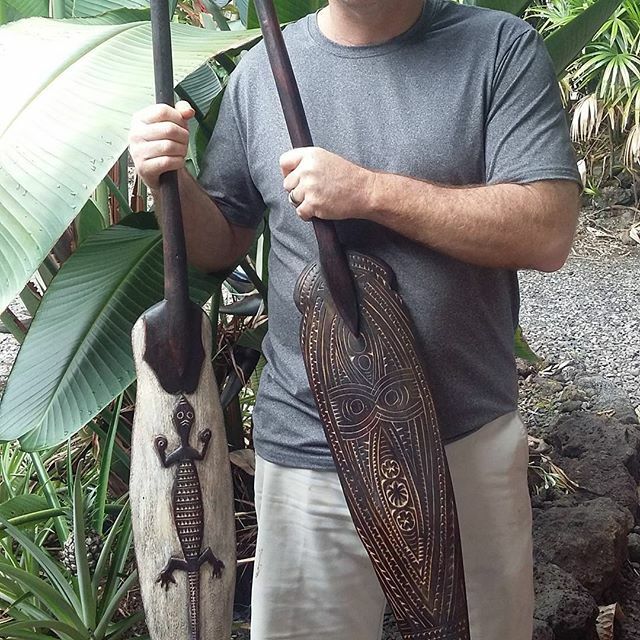 Papua New Guinea Inspired designs. Painted Paddles. I'll be happy to paint an image on request. Tour of the Pacific. Paddles I made for Disney, Florida. 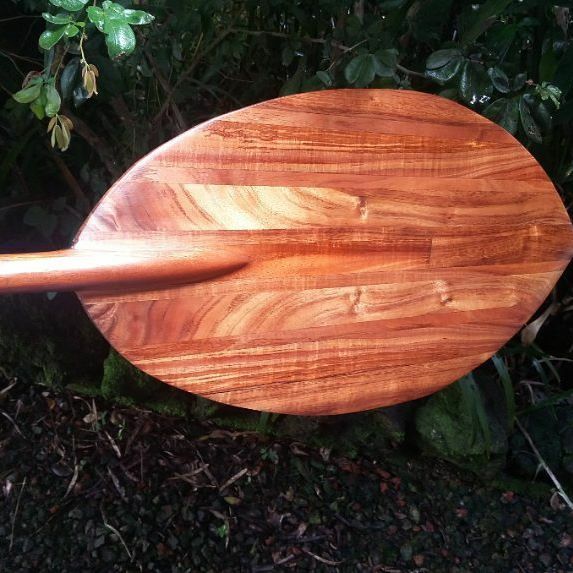 Carved Ulu, Breadfruit, wood paddle. 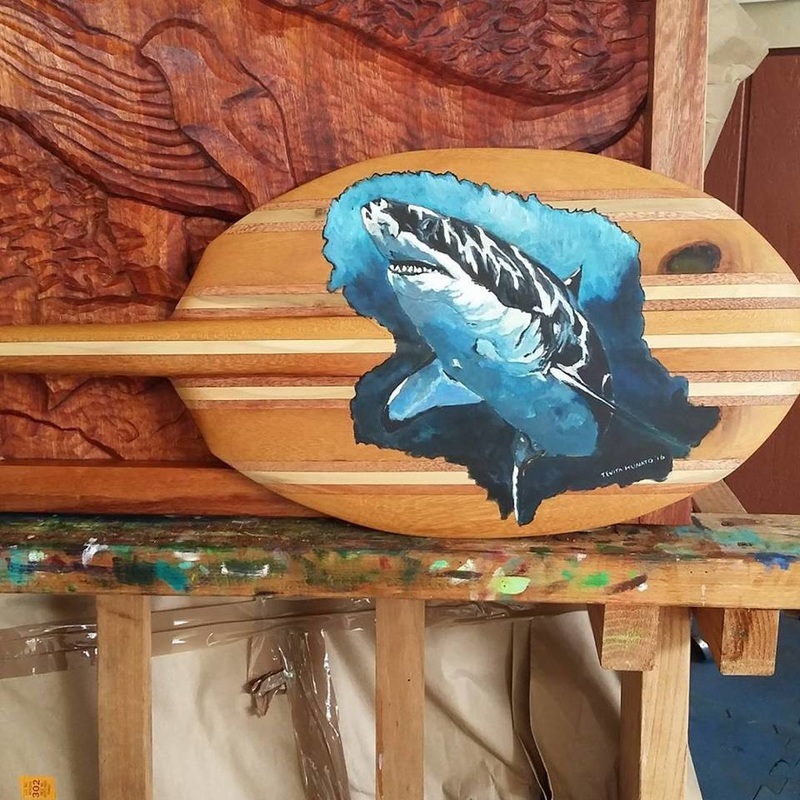 Laminated Ulu, Breadfruit, wood paddle with painting. Quilted Maple. Out of stock. 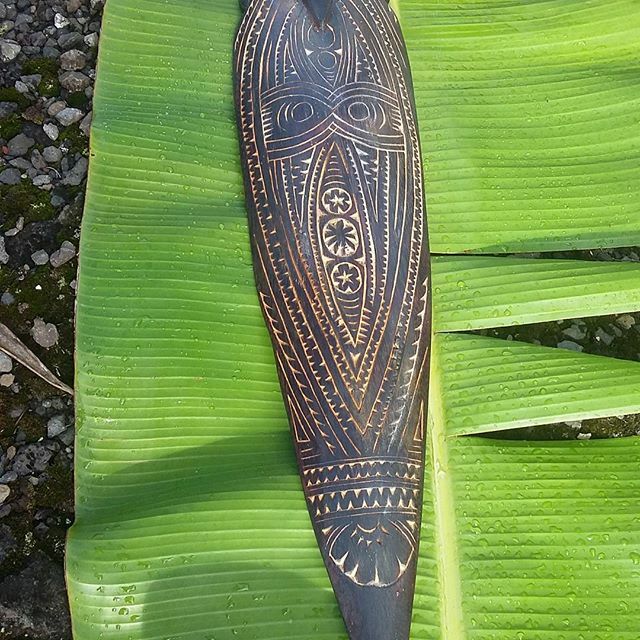 Burned Ulu, Breadfruit, Wood with antique finish. 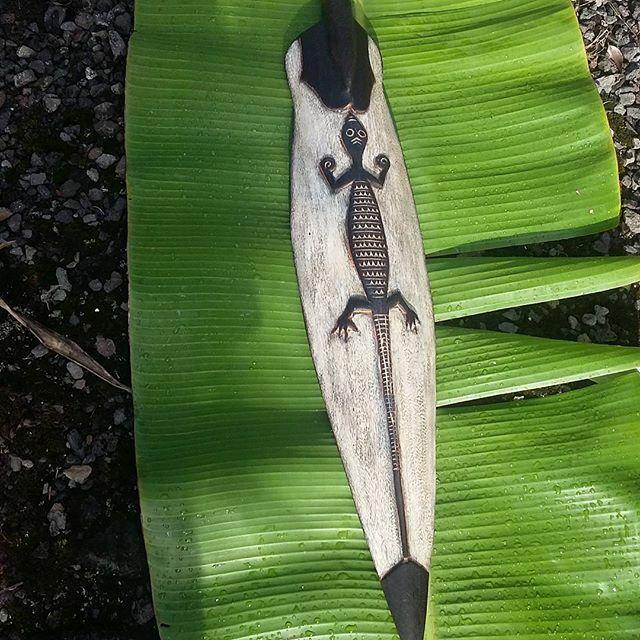 Carved Lizard on burned and painted Ulu. Breadfruit, wood with antique finish. Designs that celebrate the Pacific! I am set up to be as creative as you want. ​Perfect for home or office decoration, these wonderful works of art are also a great gift or award option. ​On request, I will be happy to provide you with matching hanging hardware. ​Discounted pricing is offered for orders greater than 5 pieces. Simply contact me via the form below. Let me know if you have a design in mind or if you would like me to come up with something new. Due to the fact that I am a one man operation, I do not keep a large inventory. 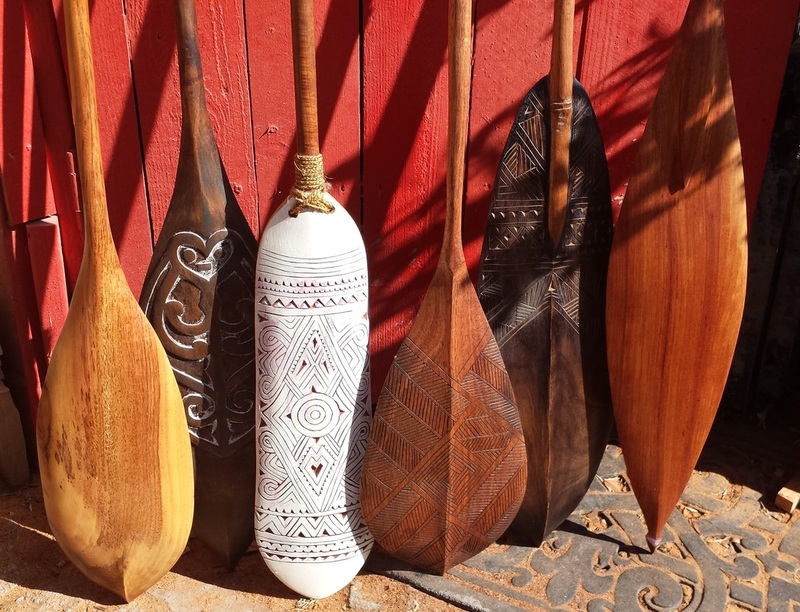 Instead, I create beautiful, one of a kind, paddles on request. I want to make something for you that no one else has. As an artist, I not only want to make a beautiful, decorative piece, I want each work of art to tell a story.